Obviously, the return of The Hound means a lot for fans and theorists alike. [*cough, cough* Cleganebowl, anyone?] But it also got us crazy excited. And we weren’t alone. 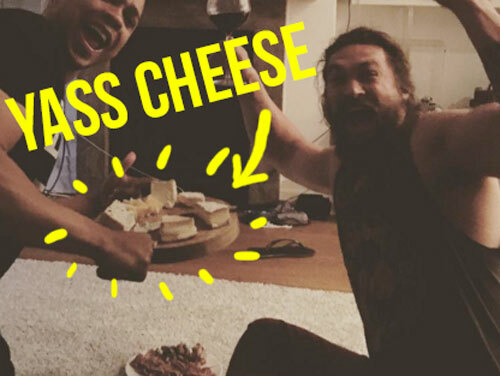 Khal Drogo himself, Jason Momoa, probably the show’s biggest fan (literally and figuratively), captured this wonderful moment when he and his friends cheered aloud for the return of Sandor Clegane. 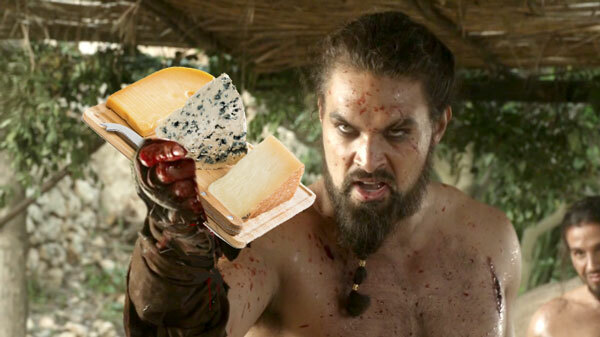 That’s right, your favorite Dothraki warlord not only lost his cool during the episode (duh), but also enjoyed a beautiful platter of cheese while watching. Uhhhh, relatable much? We’ve said it before, but we’ll say it again, we miss Khal Drogo. Heart eyes forever.